I’ve been playing with doing some watercolouring. It really is a little more “art” than “create”. You see I consider myself creative, but not an artist. I worked with the aqua painter, and while it took some trial and error, I ended up with this very pretty card for my Grandmother-in-law’s (is that the right term?) birthday. The stamp sets I used are Thoughts and Prayers for the tree and Bring on the Cake for the sentiment. 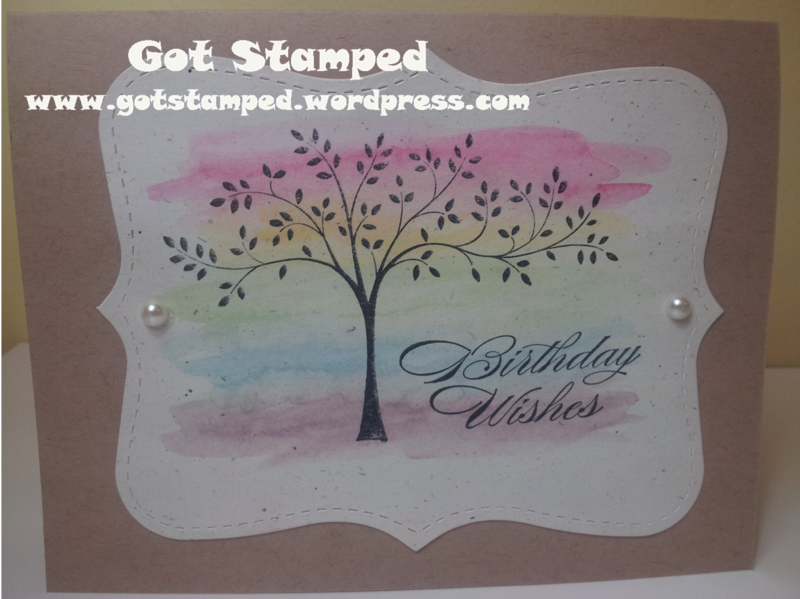 I stamped them in the Black StazOn ink pads as it will not run on the water-based ink I used on the background. The card turned out subtle and sweet and I think it fits the occasion well. Happy Birthday Grandma June!